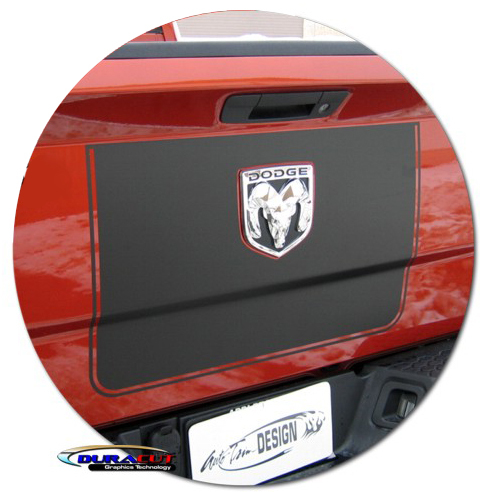 Make your '09-Current Dodge Ram Truck's Sport Performance Hood unique with this throwback style Hood Graphic kit. This hood graphic kit is PRECUT and ready to install in a variety of colors - NO TRIMMING required! 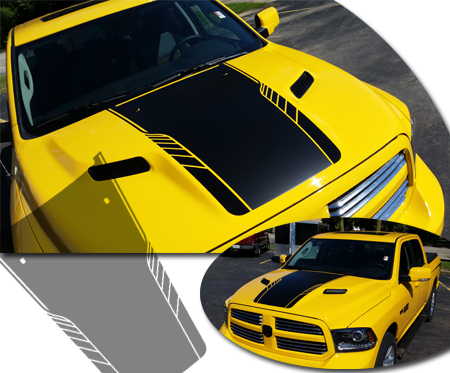 Kit is specifically made for the '09-Current Dodge Ram Truck Sport Performance Hood and will not fit any other vehicle. An optional Tailgate piece is also available to uniquely finish off the project.